This may put the cat among the pigeons! A large, newly published, observational study has suggested that comorbidity affects other-cause mortality but not prostate cancer-specific mortality after accounting for patient and tumor characteristics and treatment type. This new study by Rajan et al. (from a joint English and Swedish research team) was initially designed to investigate the impact of prostate cancer patients’ comorbidities on prostate cancer-specific mortality across types of treatment for their prostate cancer. The authors looked at “real world” population-based data from 118,543 men in Sweden who were diagnosed with prostate cancer between 1998 and 2012 until their deaths from prostate cancer or other causes. >Patient comorbidities, i.e., the patients’ Charlson comorbidity index (0, 1, 2, or ≥ 3). In the complete, unadjusted data set, higher levels of comorbidity were associated with higher risk for prostate cancer-specific and other-cause mortality. After adjustments for patient and tumor characteristics, the effect of comorbidity on prostate cancer-specific mortality was lost but was maintained for other-cause mortality. After additional adjustment for treatment type, there was still no impact of comorbidity on prostate cancer-specific mortality, but it was maintained for other-cause mortality. In other words, how you get treated may not affect your risk of dying of prostate cancer within an average of about the first 8 years after initial treatment — but it may affect your risk of dying of other causes! … suggests that comorbidity affects other-cause mortality but not [prostate cancer]-specific mortality after accounting for patient and tumor characteristics and treatment type. Regardless of radical treatment type (radical prostatectomy or radical radiotherapy), increasing comorbidity does not seem to significantly affect the risk of dying from [prostate cancer]. Consequently, differences in oncologic outcomes that were observed in population-based comparative effectiveness studies of [prostate cancer] treatments may not be a result of the varying distribution of comorbidity among treatment groups. Of course we can’t say that this finding would necessarily apply outside Sweden … but the population of Sweden is no longer the homogeneous “Scandianvian ethnic” population that it was 50 years ago. It is now a multi-racial society like many others. Of course what it does have that we don’t have in America is a nationalized health system, so the majority of men with prostate cancer do get diagnosed and treated at a relatively small number of recognized prostate cancer treatment centers. Thanks for sharing this, Mike. In my simple-minded way, this is the message I take away from this study: In a country like Sweden, where people have routine access to good healthcare, having prostate cancer does not increase the chances that you will die from other co-morbid conditions. 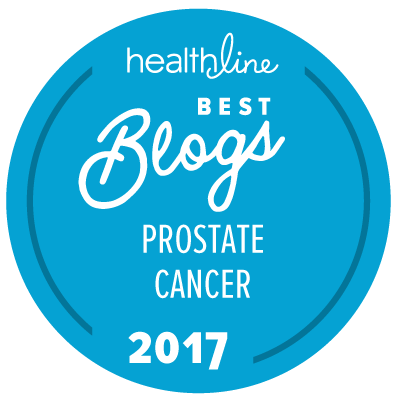 This implies that the unintended side effects of aggressive treatments for prostate cancer are also well managed. I am willing to bet dollars for donuts that these results would not be replicated in this country. Furthermore, if insurance companies are able to escape responsibility for covering pre-existing conditions for newly enrolled members, precisely the opposite will be reported if such a study is done here. Comorbidity may not increase prostate-specific mortality, but prostate cancer may increase other cause mortality due to comorbidities. The debilitative effects of advanced cancers are well known. It wouldn’t surprise me if ADT, chemotherapy and radiation for prostate cancer resulted in earlier death from other causes . After all these treatments are major insults to the human body.